Vayoo is an independent platform that assists rental owners in managing their vacational rental properties (through Airbnb, Home away, Wimdu, etc.) enabling them to optimize their rental income by providing them with an extraordinary set of tools and extremely useful information. 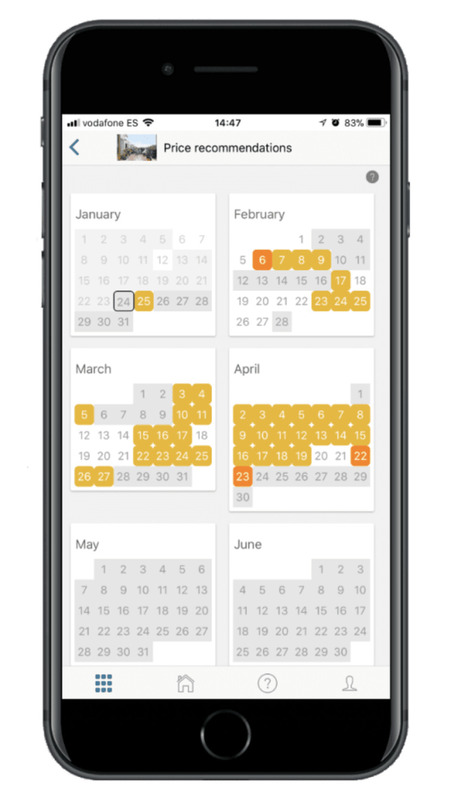 Vayoo recommends the best daily price for rental properties but also, among others, makes recommendations on optimal rental periods to maximize occupancy, offers hosts all kind of useful information such as historic occupancy, economic performance, booking activity, property page position, etc., synchronizes different platform calendars, etc. Your property, never lost again! Your listing’s search ranking on Airbnb has a direct effect on the number of bookings you close. 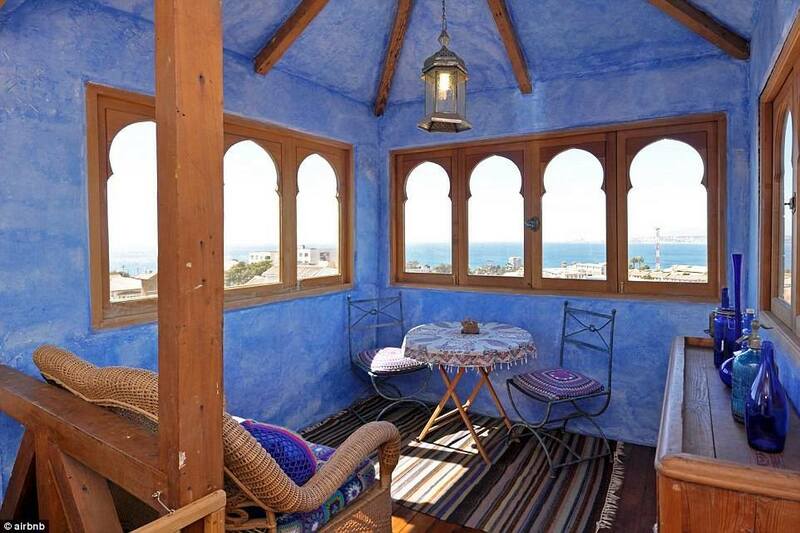 It is simple: the sooner you appear on the search results, the more visible your listing will be for travelers. However, knowing your search ranking is not a straightforward story as the platform takes more than 100 factors into account an many of them are secret. Our servers are continually monitoring your site in Airbnb’s website so you can track your search position. 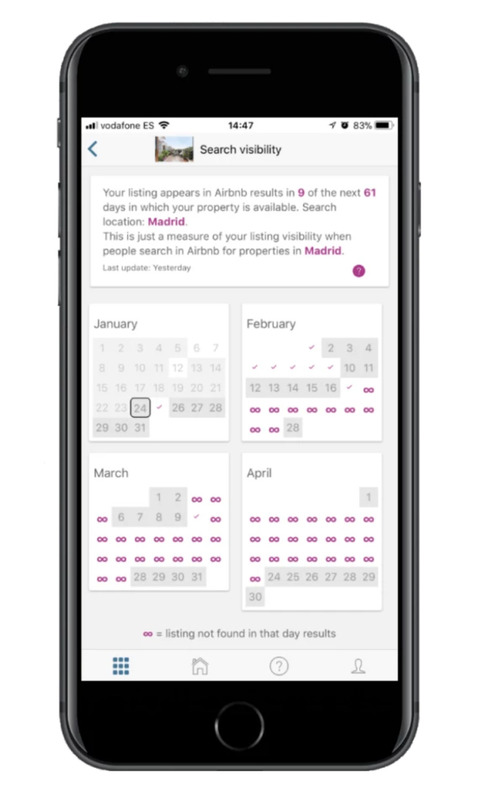 With our app, you will not only know whether your property is visible or not, but also in which ranking does it appear. Have you ever wonder how much money are you making compared to similar hosts in your area. 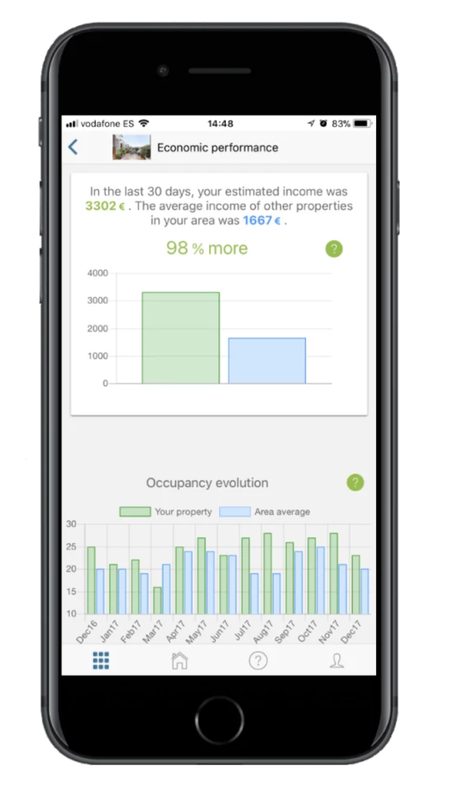 With our app, you will be able to track your economic performance, your occupancy rate and the evolution of your daily price. Then you can compare to your area’s statistics and take action upon this information. 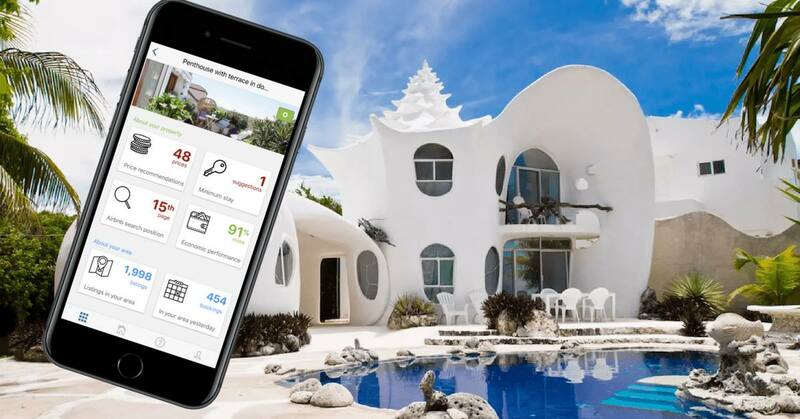 You will also be able to check your area’s monthly revenue, monthly occupancy, price per night, cleaning fee average, the number of hosts with instant booking on, the average number of rooms per property in your area, and the average number of stars per host. 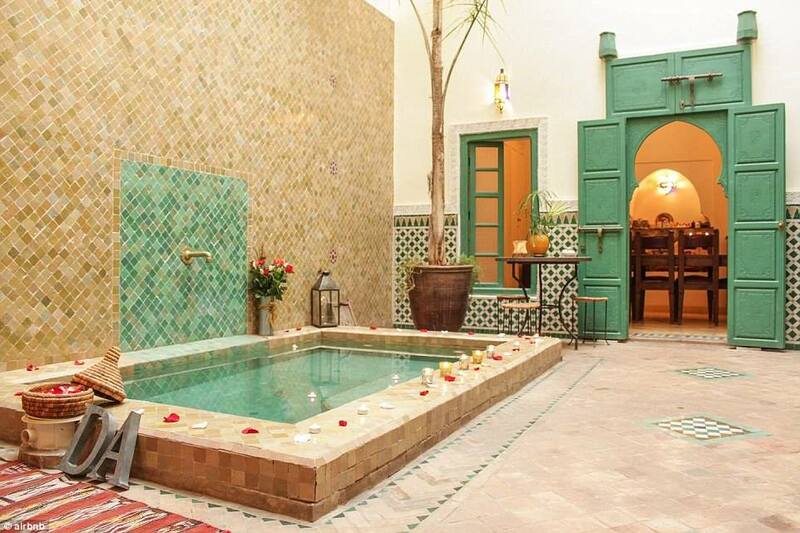 Vayoo continuously monitors your listing and does real-time analysis of occupation in your area to help you maximize your Airbnb bookings and revenue.